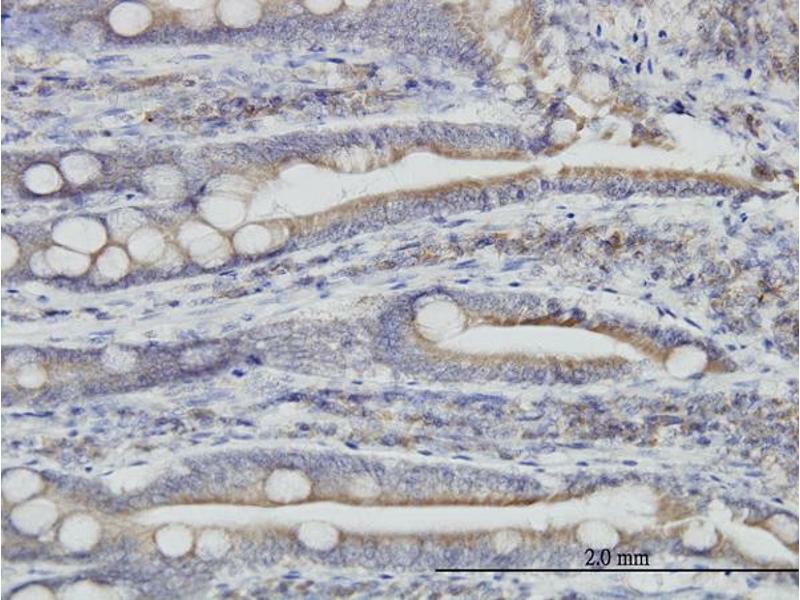 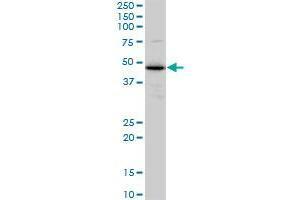 TXNDC4 monoclonal antibody (M01), clone 3C7 Western Blot analysis of TXNDC4 expression in K-562 . 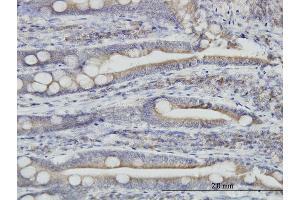 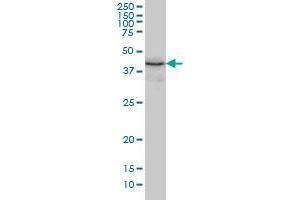 TXNDC4 monoclonal antibody (M01), clone 3C7. 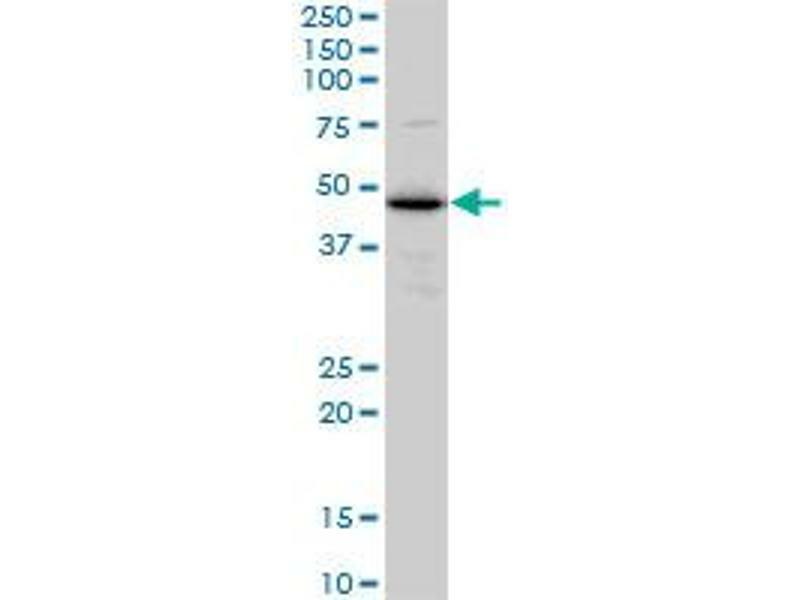 Western Blot analysis of TXNDC4 expression in A-431 . 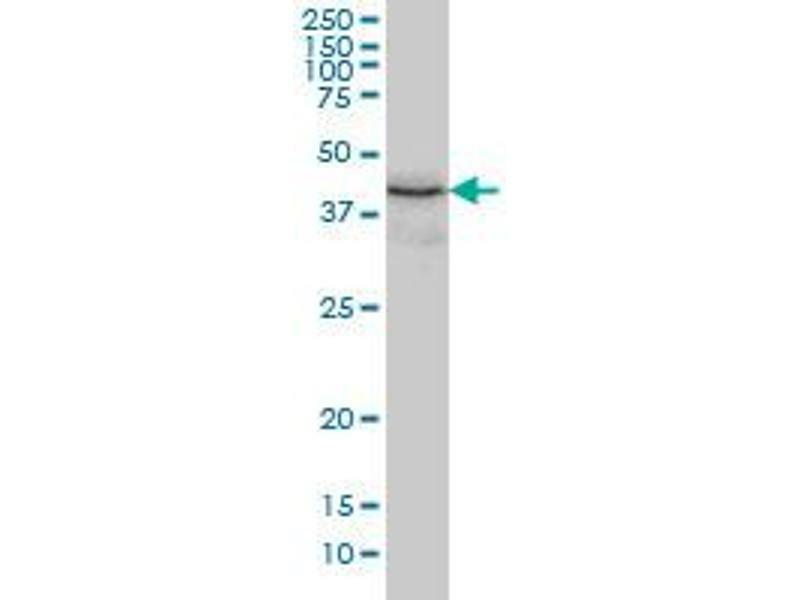 Western Blot analysis of TXNDC4 expression in transfected 293T cell line by TXNDC4 monoclonal antibody (M01), clone 3C7.Lane 1: TXNDC4 transfected lysate(47 KDa).Lane 2: Non-transfected lysate. 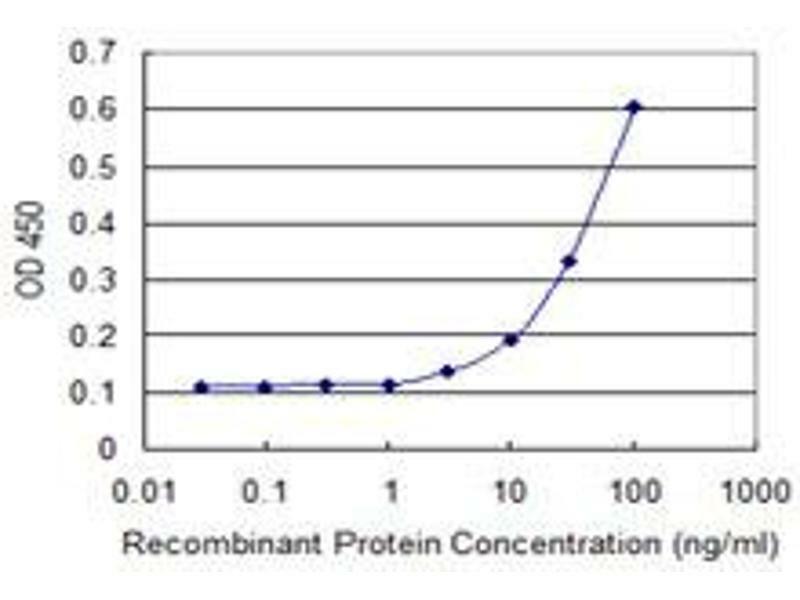 Immunoprecipitation of TXNDC4 transfected lysate using anti-TXNDC4 monoclonal antibody and Protein A Magnetic Bead , and immunoblotted with TXNDC4 MaxPab rabbit polyclonal antibody. 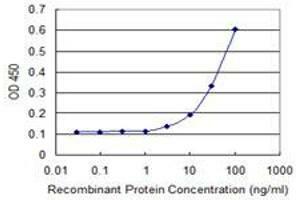 Immunogen TXNDC4 (AAH05374, 30 a.a. ~ 406 a.a) full-length recombinant protein with GST tag. 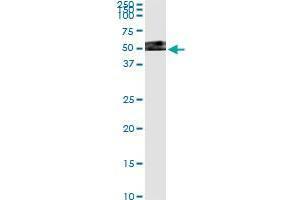 MW of the GST tag alone is 26 KDa. Western Blot detection against Immunogen (67.21 KDa) .